The process to obtain unemployment benefits after you’ve lost your job is more complicated than you think. Moreover, they are not guaranteed just because you’ve lost your job. Having an experienced attorney help you complete the unemployment application process can get you compensation faster by making it easier for the state to decide why you qualify for benefits. 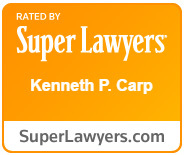 The lawyers of Law Office of Kenneth P. Carp have more than 20 years experience in unemployment law. We will help you recover the benefits you need. Whether you were an hourly employee or top administrator, we can guide you through the entire process of applying for benefits or appealing a denied claim. If you receive a deputy’s determination denying your unemployment claim, we will help you file an appeal. An administrative hearing between you, your employer and an administrative judge will be arranged, either in person or through a conference call. You can expect that your employer’s attorney will present evidence of your misconduct in order to get your benefits denied. Our attorneys know when to object and how to cross-examine and present evidence in order to demonstrate why you still qualify for benefits. Your administrative hearing is the only chance you have to fully present your side of the story. Let us help you prepare the best strategy possible so you can obtain the compensation you need. What If I Was Fired or I Quit? Your employer followed their handbook. Your actions were against company policy but not considered misconduct as defined by the courts. You quit for reasons such as harassment, discrimination or other circumstances. While getting fired or quitting could be the reason you were initially denied benefits, every situation is unique. Our attorneys know the rules and how to present your case to a hearing officer the way it needs to be heard. We have handled thousands of unemployment claims and appeals. To speak to one of our Kansas City or St. Louis unemployment claims attorneys, contact our office online or by calling 636-947-3600. We offer a set fee for set services and are always available for in-person or telephone consultations.